[Guest post by Karrie Pittman of KerrieBelle Designs. Does the voice of your brand communicate the passion that drives your business? I have asked this question to numerous small businesses and often times get a bit of a blank look. There is a reason this is the first sentence I have on my website.This is exactly what your branding needs to be doing for your business. The job of your branding, first and foremost, is to communicate. Branding is the message that your business screams proudly from the rooftops but it is so much more than just a logo. Great branding is all about developing a complete and strategic plan that tells your story of your business. Your branding is how you make consumers feel each and every single time they think of your business. And is how you draw potential clients in to learn more and to want to learn more about your product or service. It is how you relate to and become instantly recognizable to your consumers. It is how you make them feel today, how you garner their loyalty and support tomorrow, and for years to come. So, how do we do all of this in the first few seconds that we have a customers attention? Well, some of it takes a microsecond while other parts take a bit more time. 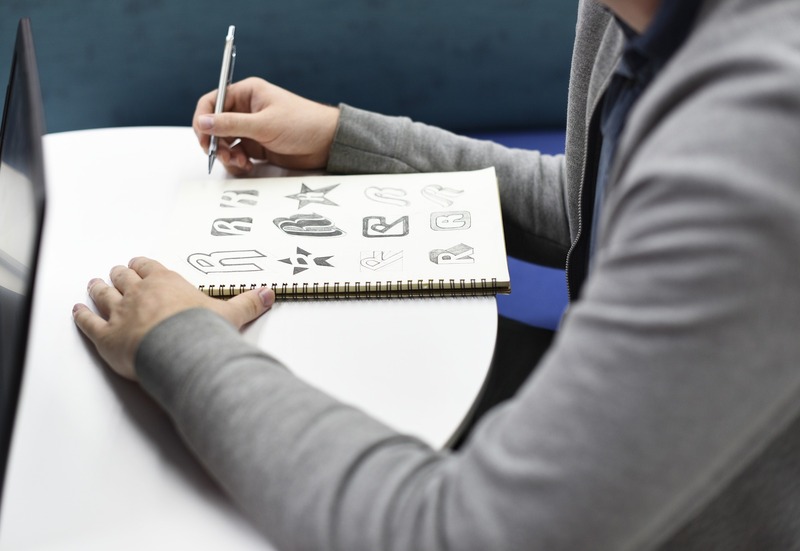 Please don’t get me wrong, developing your logo whether, for a personal brand, micro business or corporation is one of the most important steps you will take towards your branding. Your logo will begin to communicate the voice of your brand with the public instantly. A good logo will do this through the color, shape and font choices, while a bad logo will leave your audience scratching their heads and wondering what your business is all about. There is a science to select each element, so it must be created with care and with your whole branding strategy in mind. Once you have your logo in place, remember that consistency is key. You need to use repetition across all digital and print platforms. Use the same colors, fonts, and your logo on everything from social media posts to packaging and everything thing in between. Consumers see this as another indication of your level of professionalism. While you might get a little sick of seeing your message day in and day out, your consumers will not. Another key factor is the actual delivery of your brand message. Consumers want to hear from you, but they want your message to be easy to understand. Don’t try to oversell or over explain your business at first. Use your branding to draw them in and then create the opportunity to talk with them about it. Consumers can tell the difference between lip service and the truth. Use your honest emotions and pour that into each experience they have with your brand. This next one is HUGE. Be truthful even when things don’t go perfectly. We have all seen businesses that handle a negative customer with lies or even accusations. This will always blow up in your face and is a sure fire way to create mistrust with your business. Instead, acknowledge the issue and apologize. Make things right for your client and you can turn a negative experience into a positive one. Use real examples of how your product or service helps to fix their problems or simplify their lives. Isn’t that what we as consumers are looking for? That is what we as business owners need to do. Show how you partner with each of your customers to make life just a little bit better. Finally, make your message to be relatable to them. Consumers want to develop a relationship with the businesses they frequent, and relating to them in an earnest and genuine way will keep them coming back to you. We have just begun to scratch the surface of branding, but this at least gets you pointed in the right direction. So, whether your business growth starts out a little slow or takes off immediately, developing your branding strategy (the voice of your brand) is another tool to help you achieve your goals.